ARLINGTON, Va. - A former CIA spy's eyes widen when he hears that, in Canada, the political opposition doesn't get to see or scrutinize national-security intelligence files. "You're kidding me," says John Kiriakou, who's now under house arrest in Virginia after a two-year prison stay for revealing information about his former employer. "That's shocking to me. It seems to block any chance of a national consensus on an issue that I think would be very serious. There has to be oversight." 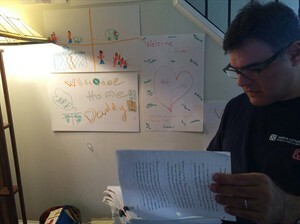 Kiriakou made the remarks during an interview in which he described an internal controversy within the CIA over the arrest and rendition of Canadian Maher Arar to be tortured in a Syrian prison. Many colleagues protested, arguing that they were punishing an innocent man, he said. The CIA's role in the 2002-03 affair has never been publicly scrutinized. But the fallout in Canada did include a public inquiry and a $10-million government payout to Arar. A major recommendation from the inquiry was an overhaul of the model used to scrutinize intelligence work. A decade later, that recommendation from the Arar inquiry has never been implemented — even as the Canadian government prepares to provide intelligence agencies with more power in its new anti-terror bill. The inquiry recommended giving review bodies the power to scrutinize more than one agency at a time — so that they could see, for instance, how CSIS and the RCMP co-operate on cases. Also, four former prime ministers recently noted the failure of reforms that would have allowed politicians from different parties to access intelligence files. The U.S. oversight system was introduced following 1970s scandals involving the CIA, with the creation of bipartisan committees. Canada's system involves appointed bodies for different agencies, with distinguished Canadians selected by the government. Kiriakou likened the Canadian system to Ronald Reagan appointing his own investigators during the Iran-Contra affair: "Is that real oversight?" "I think people need to know what the government is doing in their name.... It's the only way you can keep people honest. When everything is in the shadows, people tend to push the envelope more than is appropriate." Some state secrets are necessary, he said — but they need to be shared with people who will keep the government accountable. "Here in the United States we have oversight — and even that's not good enough. We haven't had serious oversight, really, since the 1970s." It took years of negotiating, for instance, to get the Senate intelligence committee to release its torture report — and even then the different political parties continued arguing about the details after the report was released. Kiriakou was in prison when that report came out late last year. He said he's the only person ever punished over the CIA's post-9-11 use of torture — because he blew the whistle on it. He first mentioned it in a 2007 news interview. He was arrested several years later on different accusations: leaking details about former colleagues to the news media. He was singled out for punishment, he insisted, in a U.S. capital where leaks are a daily occurrence. In Ottawa, the Conservative government's new bill would give Canada's intelligence agents more power to thwart suspected terrorist plots, including within Canada. It would also apply to crimes against the country's economic and financial interests. The government has said repeatedly it doesn't need to update Canada's intelligence-oversight model, because it's already the envy of the world. The government-appointed panels that monitor different agencies file regular reports to Parliament, and members of all parties can scrutinize the edited results.